Sometimes I need the familiar charms of a long-loved film to make my mood seem a little bit better. 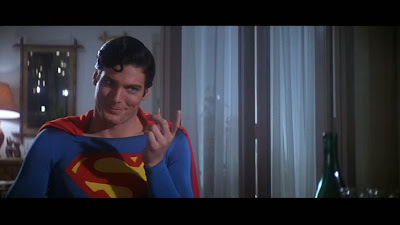 Yesterday, as I looked at apartments, and weighed my options for a bigger place on my current budget here in Hong Kong, I knew that I needed a sort of cinematic pick-me-up and Superman: The Movie (1978) never disappoints. Luckily, I was easily able to find it for $2.50 USD -- new! -- in the depths of Mongkok's Sino Centre. Little did I know that this Japanese DVD contained the Director's Cut of the first Superman film. 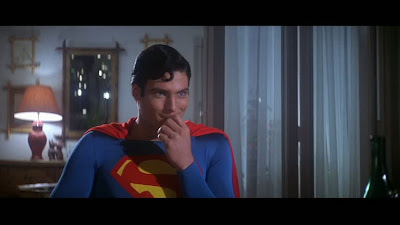 As I had seen the TV version with its extra scenes, as well as the Director's Cut of Superman II (1981), I knew I might be in a for a treat but one scene in this version pleasantly surprised me with its poignancy. But, first, lunch and shopping! I had lunch Saturday at the curry house in Wan Chai that I stumbled upon back in January. The place is a bit hard to find for me still. But it feels like an adventure when I finally find it and explore that varied menu. I think that all the other bonus scenes in this version of the film were familiar to me -- at least I had read about them -- but the one scene that really moved me was one that I don't remember ever reading about before. After his "first night on the job," Superman retreats to the Fortress of Solitude to again consult the hologram (?) 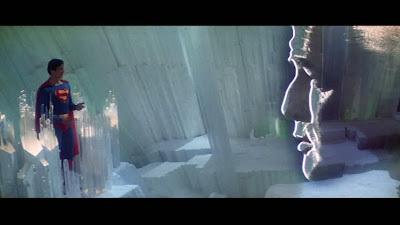 of his father, Jor-El. 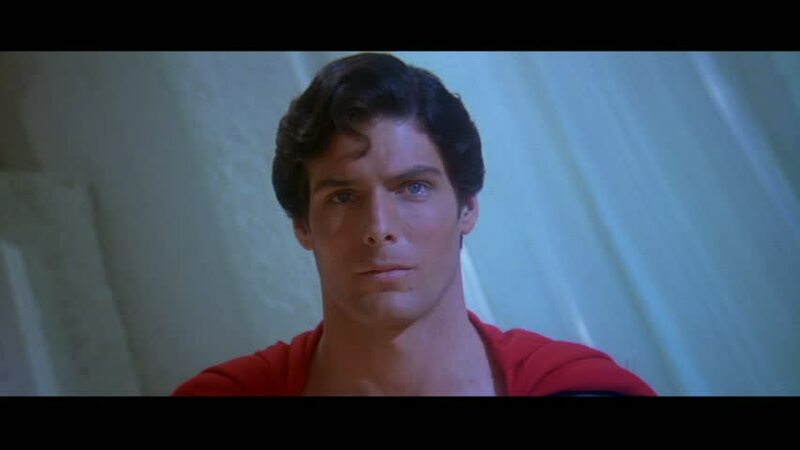 In this scene, Superman, appearing more human than ever, asks his father why it felt good to do good deeds. 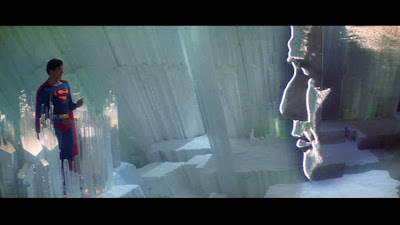 Jor-El acknowledges these feelings and says he expected them and so on. 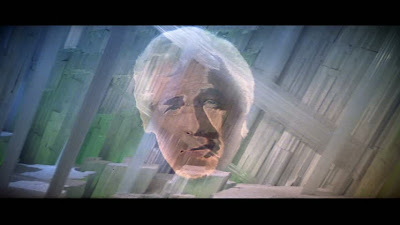 And then, in a surprisingly emotional way, Jor-El's hologram expresses regret that he can not be there in person to embrace his son and Superman reaches up to grasp the apparition of Jor-El. 3. It makes Superman more human. 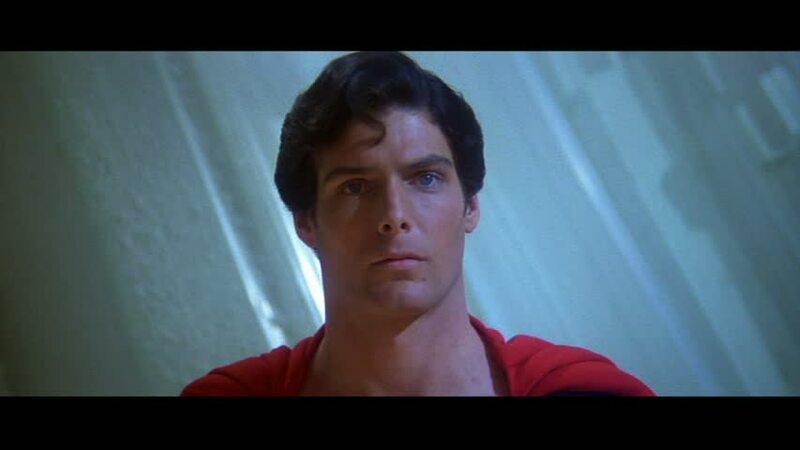 Really, to see the Man of Steel so vulnerable is a great thing for a viewer. It really adds a bit of warmth to the film in this middle section where Luthor is making things feel a bit more campy. The film still works without it but, honestly, Superman: The Movie (1978) would be even better with this one deleted scene added back in. Even the Man of Steal has his moments of doubt. 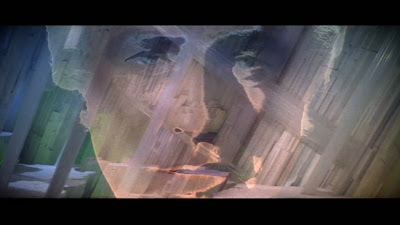 And, if you want to run with that Jesus analogy which is already in the film, the scene works in that regard as well -- like the final prayer in the Garden of Gethsemane. Maybe. I don't want to make the sequence sound too heavy, or ponderous, or touchy-feely -- though it is a bit -- but, really, I was moved by this little moment. 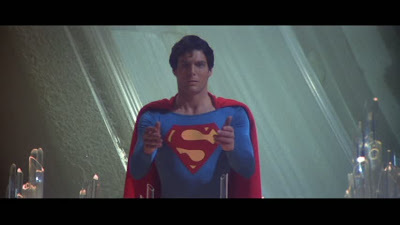 What made Superman: The Movie (1978) a classic, and one that still works nearly 35 years later, is not the special effects. No, what made it work was the humanity. A witty script allowed Christopher Reeve to find the humanity in this alien, this Christ-figure from outer space. Superman's struggles to find his place in the world and his mission to serve it -- those are the points on which this drama hinges. 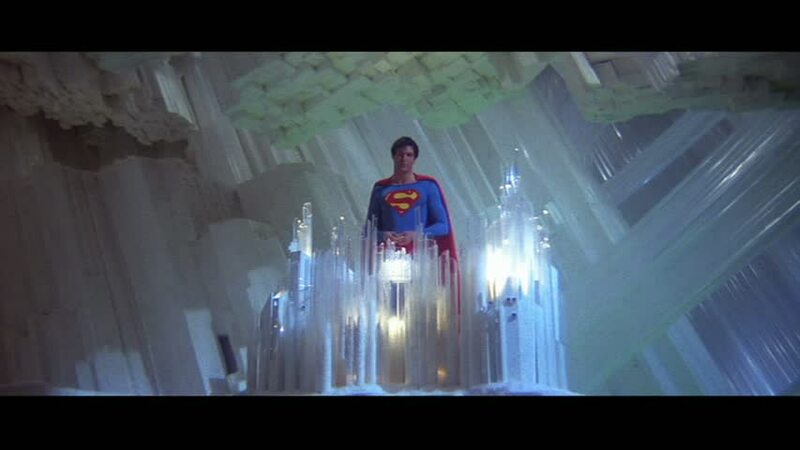 And this little moment from Richard Donner's Director's Cut makes Superman: The Movie (1978) even better than it already is. And it's nearly perfect as far as these superhero films go.